Scenario: A motion has been filed in your case to obtain some general relief in family court, such as maintenance, child support, or parenting time. The judge in your case has heard all the facts and considered the evidence. A hearing or trial has taken place, and the judge has entered an order on the issue. You and the opposing party must now abide by this order or you will be subjected to the consequences for violating the same. Fortunately, you are an upstanding individual who obeys court orders to the letter. Unfortunately, the opposing party is not, and he or she is now disregarding the order. What do you do? Do you have to go back to court to enforce the order? Why should you have to pay an attorney to deal with the opposing party’s malfeasance? Thankfully, within the world of enforcing orders and being in contempt of a court, the law exists to help you by offering you remedies for your troubles. The law recognizes that the other party’s failure to comply with the court’s order places you, the compliant party, in a significant hardship that otherwise would never have existed, had it not been for the opposing party’s failure to comply. The Illinois legislature specifically took this into consideration when they crafted Section 508(b). It is designed to afford relief to a compliant party who otherwise would not want to have to return to court to enforce an order. Under the case law, a party who has been forced to resort to the judicial process to secure compliance with the terms of an existing order or judgment is entitled to reasonable attorney fees. As other cases make clear, this is due in large part to the financial burden imposed upon the person having to enforce the court’s order or judgment for the other party’s failure to comply. The statute and case law are frequently applied in instances where failure to pay child support or maintenance is at issue, and the costs of seeking hiring an attorney to go back to court can easily exceed the underlying obligation. Ultimately, courts understand that there would be no point in issuing orders or judgments if enforcing them would be cost prohibitive. Under the case law, the petitioning party need not prove evidence sufficient to find a non-compliant party in contempt of court. Rather, he or she only has to prove that the opposing party’s failure to comply with the order was without compelling cause or justification. Furthermore, under the case of the Parentage of M.C.B., linked above, courts should not consider whether the non-complying party has the ability to pay your attorneys fees. Similarly, under the case of Marriage of Irvine, the courts should not consider whether you even need your attorneys’ fees paid for. 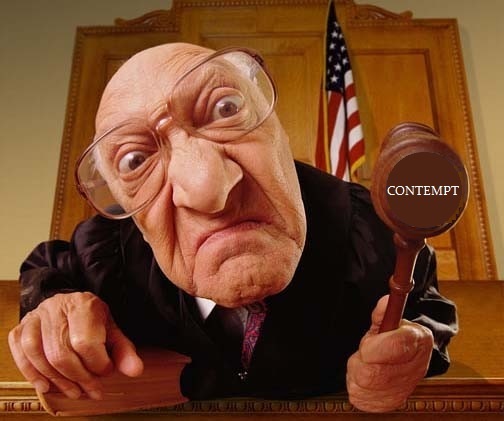 Once the court has made a finding that they non-compliance was without cause or justification, the fee award becomes mandatory under the statute. Procedurally, requests for reimbursement of costs and reasonable attorneys’ fees are subject to a separate hearing, aside from the hearing to determine whether the court’s order has been complied with. This means that the process of enforcing the order and being granted fees is twofold. First, you should contact an attorney to prepare and file a petition to enforce the order as a result the opposing party’s non-compliance. Second, once your petition has been heard and you have obtained an order from the court which finds that the opposing party’s failure to comply with the order or judgment was without compelling cause or justification, your attorney should file a separate fee petition under Section 508(b). The process may not be quick or painless, but with the law by your side, you can successfully enforce an order or judgment against a non-complying party and seek reimbursement of the fees you had to incur to do so. As with most legal matters, success is largely a matter of organization, preparation, and presentation. If you too are considering enforcing a court’s order or judgment, you should contact a knowledgeable family law attorney to guide you through the process.